A scientist in California who was conducting pioneering research on the impact of pesticides used by illegal pot growers was the target of a disturbing revenge attack, when his dog was poisoned by the very toxin he'd been studying. Mourad Gabriel, a biologist at the University of California at Davis, has been researching the wildlife in Humboldt county in northern California, and in 2012 cracked the case of mysterious deaths of Pacific in the area. The animals had eaten rodents that were poisoned by a rodenticide used by illegal marijuana growers to protect their plants -- a massive source of profit for growers. 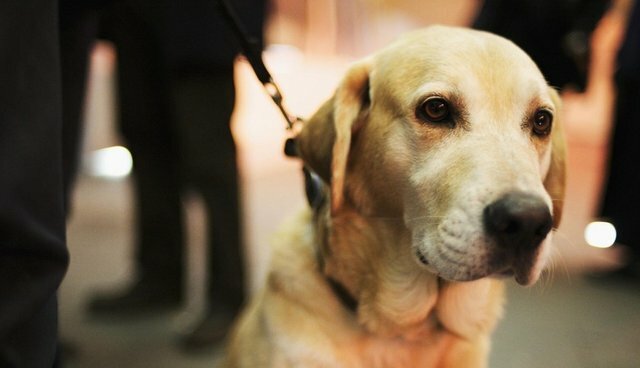 When Gabriel found his Labrador retriever Nyxo writhing on the floor earlier this year, he took the dog to his own lab, where pathologists confirmed his suspicions -- his own dog had been killed by the toxic poison. The threat of illegal growers, fearing for their businesses, is bearing down on Gabriel now, as the LA Times reported in a profile of the biologist this week. In a county whose economy is driven by the marijuana trade, the findings made Gabriel a target. Comments on websites warned that "snitches wind up in ditches." An email inquiring about where he lived was traced by federal authorities to Mexico, suggesting that he had enemies among drug cartels. Humboldt County Sheriff Mike Downey told the Times that he thought Nyxo's poisoning was meant as "a very clear message" to Gabriel. "It's reflective of an industry that is unchecked and has no moral compass," he said. "There's no regard for life." Some colleagues have encouraged him to keep quiet and not make waves, fearing for his safety. But, like conservationists and scientists before him who've risked their lives for their important work, Gabriel has vowed to continue, believing that the public and wild creatures have a right to safety in nature.